In the last several years the trends in online earning have been changeable. At first Internet money-makers preferred taking surveys for money, then affiliate marketing, paid blogging and copywriting started to conquer the number one spot in the rating of best work at home opportunities. In current times, copywriting and ghost writing/blogging have become especially popular due to the fact that employers have a crying need for juicy content, which can be created only by innovative and skilled writers. If you have experience in journalism, copywriting or blogging, then I would like to present a scam free opportunity to make money online with ghost writing. Scripted.com is a comparatively new but very promising company, to be exact – a marketplace for writing, which deals with professional content creation and is looking for new writers. It provides solutions for both people, who are in need of a professional copywriter or journalism and ghost writers, who are looking for freelance writing jobs on the Internet. Having done some research and investigation of the reputation of this writing marketplace I have found out that Scripted.com accepts only professional writers, who have a lot of working experience, are capable of meeting deadlines and creating stunning, key-word rich content, for which, but the way, Scripted.com clients are paying good amounts for money. 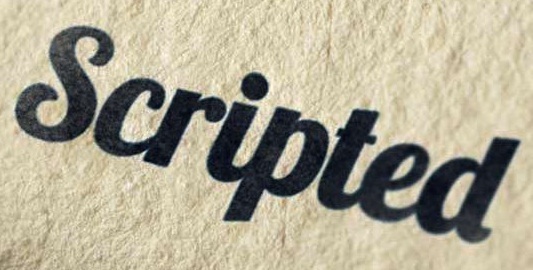 Scripted.com is an international writing marketplace, which means anyone from a PayPal-supported country can apply to become a ghost writer at Scripted.com and receive money for content writing work. I should be noted that Scripted.com is a ghost writing company (writers don’t receive credits for their writing, i.e. by receiving payments for articles authors sell all the rights for their work). One of the best benefits for joining Scripted.com is that they work with the world’s best news websites, magazines and blog networks. Professional ghost bloggers will be able to receive good amounts of money for their honest work. Payments at Scripted.com are completed with the help of PayPal payment system within two days after the completion of a writing job. As for me, Scripted.com is one of the best upfront-paying websites for copywriters and ghost writers, who want to make money online. Squidoo.com – my success post about earning money with Squidoo.com. This is one of the best sites for earning money by writing on revenue sharing basis. Best sites to earn money by writing content – as I continue my search for best writing opportunities I update this page, where the most suitable writing opportunities are listed. Thank you for reading my blog post, I hope you like the content I am presenting to you. I still have a lot of earning opportunities to review and to post in this blog, so if you wish to receive this information for free, please subscribe to my blog.